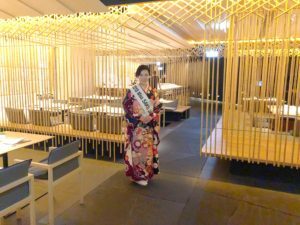 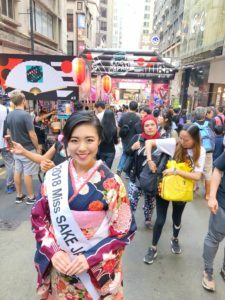 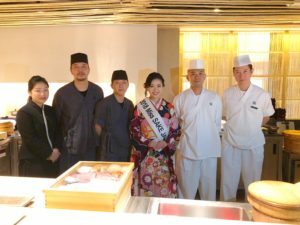 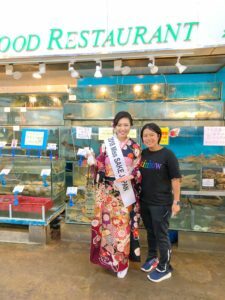 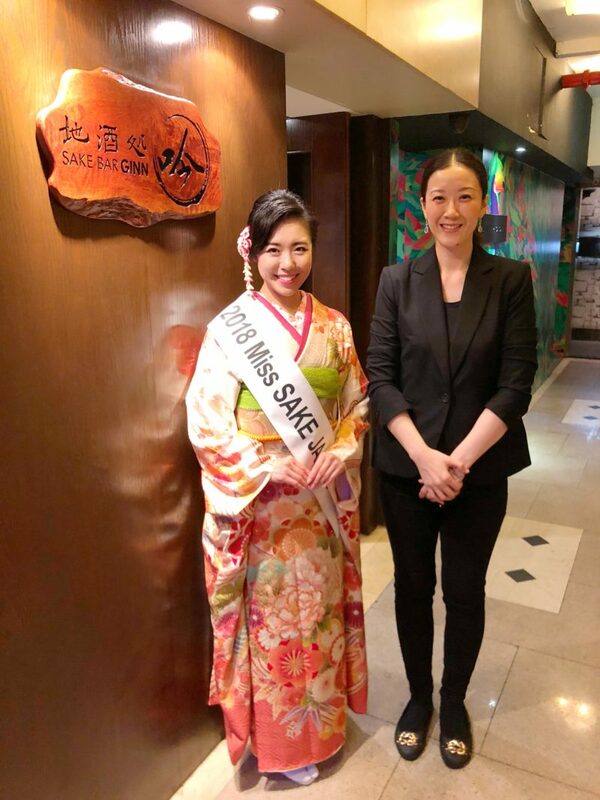 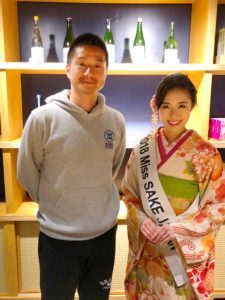 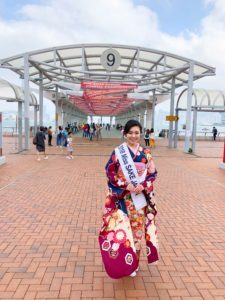 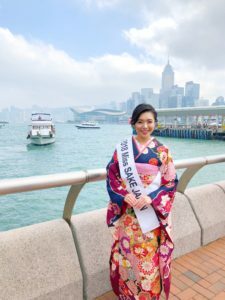 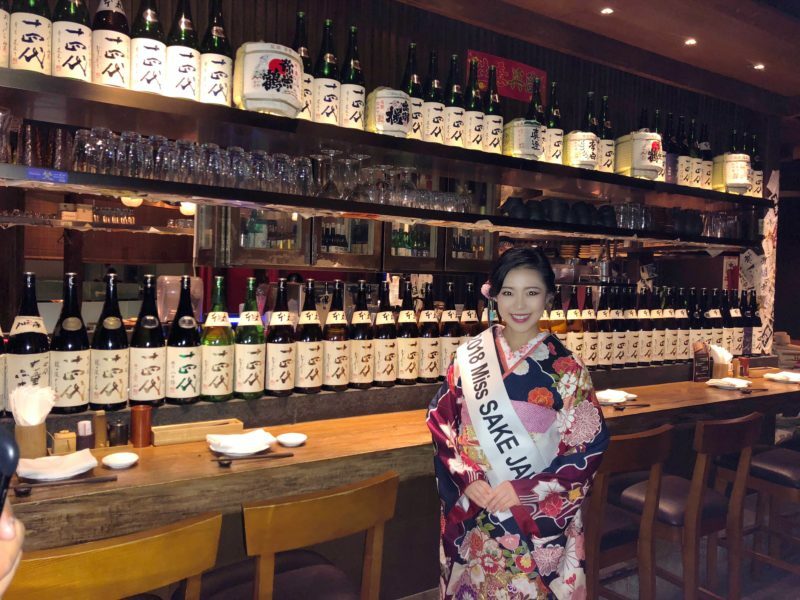 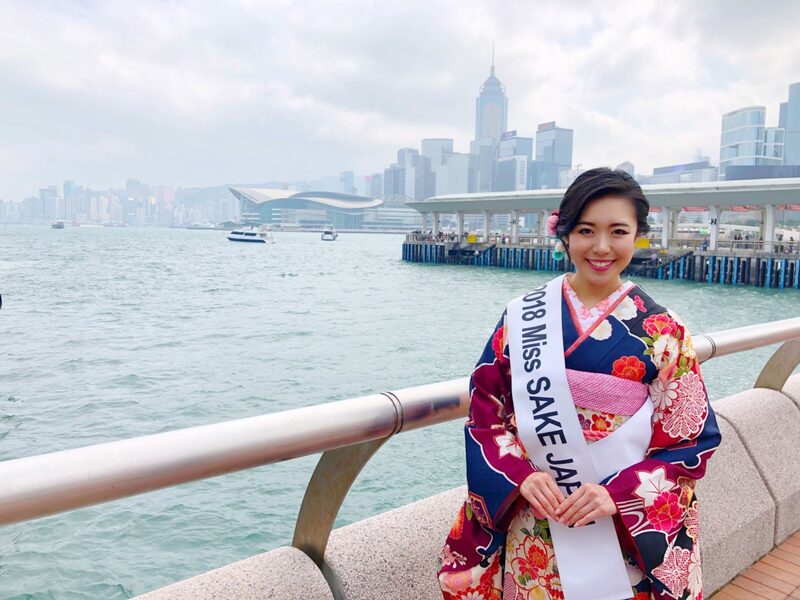 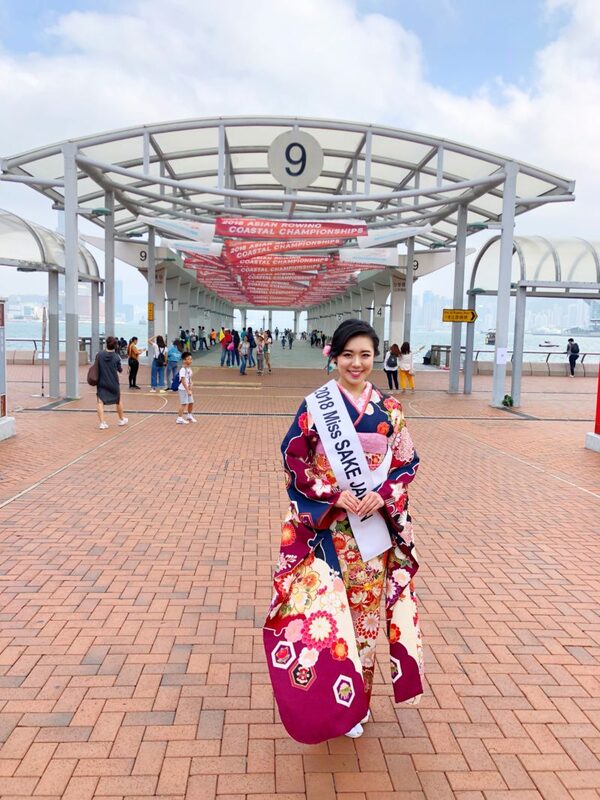 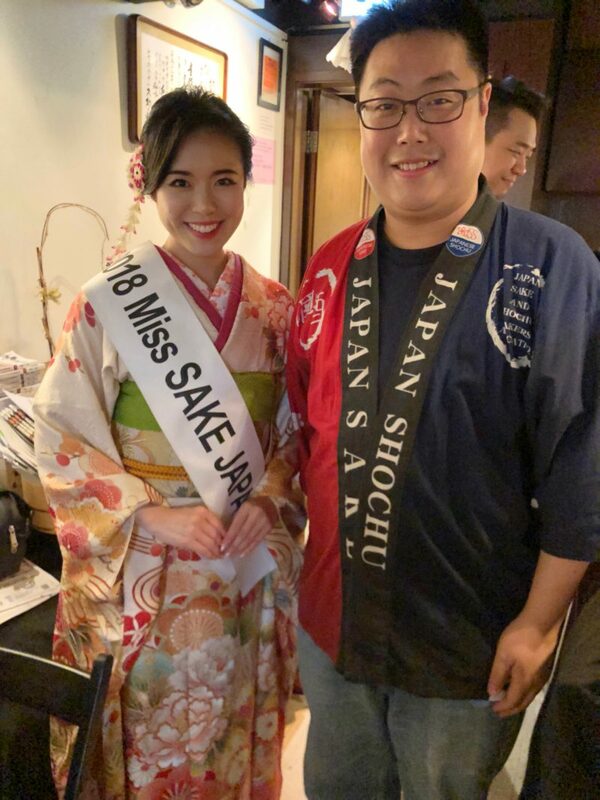 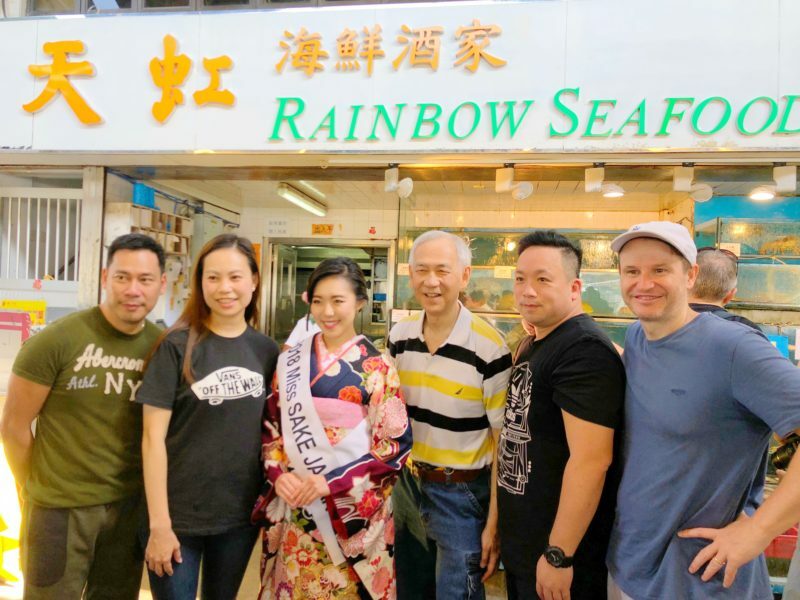 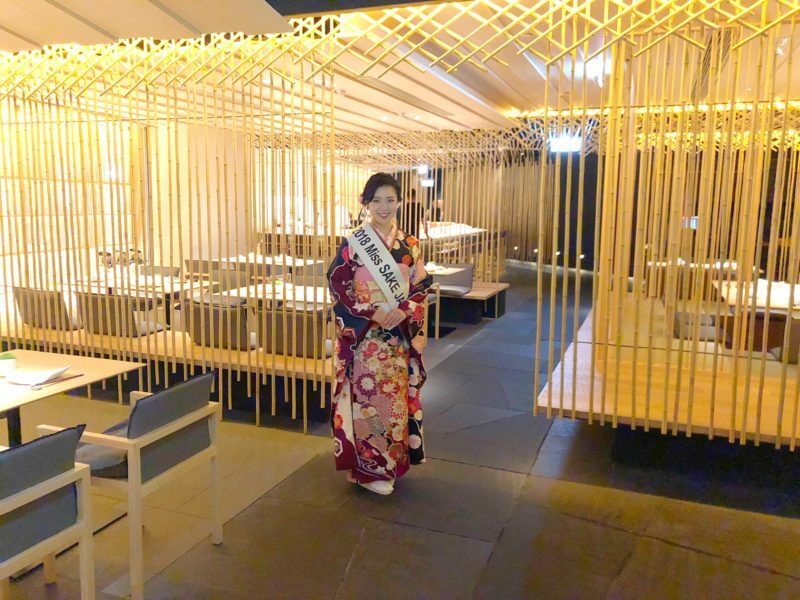 1 After finishing the 2019 Miss SAKE Hong Kong Launching Ceremony at the Hong Kong International Wine & Spirits Fair 2018, Asami Sudo visited some restaurants which are going to support the Miss SAKE Hong Kong project. 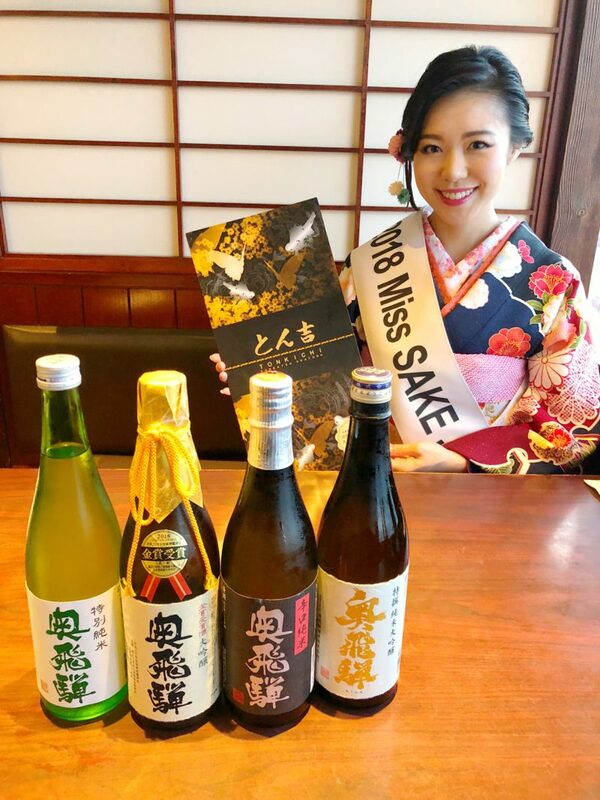 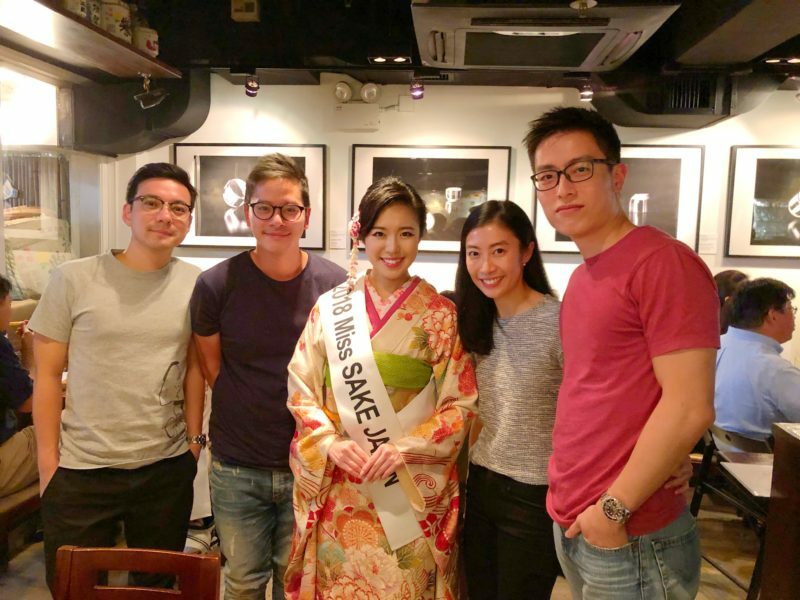 After finishing the 2019 Miss SAKE Hong Kong Launching Ceremony at the Hong Kong International Wine & Spirits Fair 2018, Asami Sudo visited some restaurants which are going to support the Miss SAKE Hong Kong project. 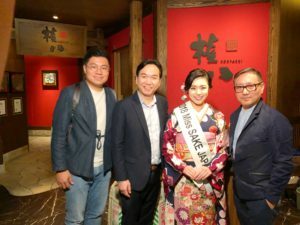 After finishing the 2019 Miss SAKE Hong Kong Launching Ceremony at the Hong Kong International Wine & Spirits Fair 2018, I visited some restaurants which are going to support the Miss SAKE Hong Kong project. On, November 11th, we visited Sake Central, a stylish sake bar located in PMQ. 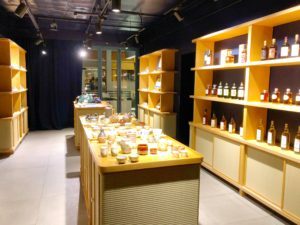 Sake Central offers an extensive variety of sake bottles from small and large breweries both inside and outside of Japan. 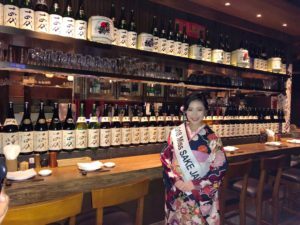 Next, we visited Sake Bar GINN, one of first sake bars in Hong Kong, which has devoted to the development of SAKE industry in Hong Kong. They offer seasonal sake and sake tasting flights out of over 100 kinds of premium sake. 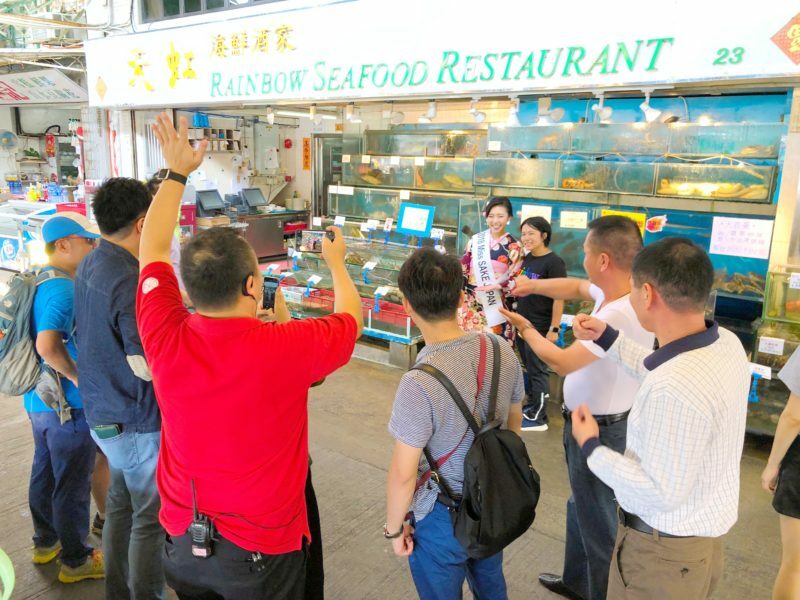 On the next day, November 12th, we took a ferry from Hong Kong Island and visited “天虹海鮮酒家 Rainbow Seafood Restaurant.” At the restaurant along the shore, you can enjoy variety of seafood. 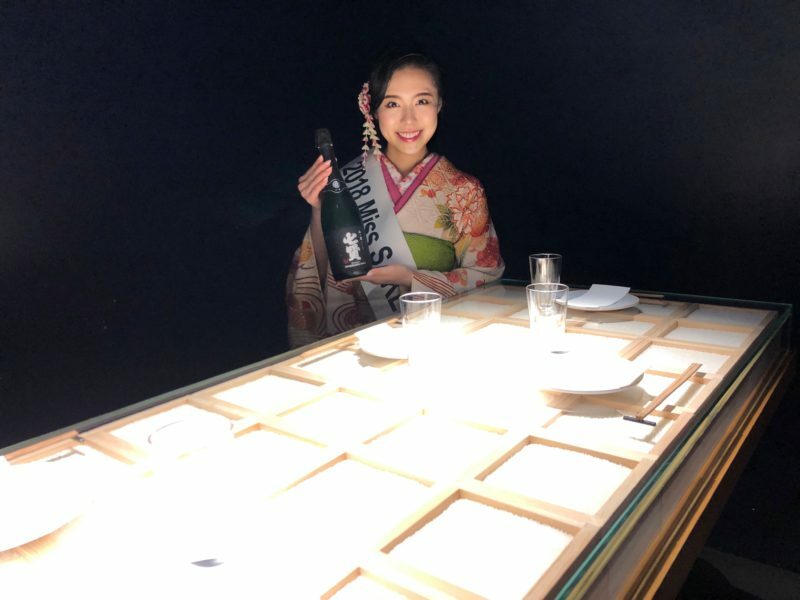 For now, SAKE is not a popular drink at the resataurant , but I believe SAKE and seafood is one of the best combinations of drink and food. So, I hope, in the near future, more people will enjoy SAKE at the nice restaurant along the shore. 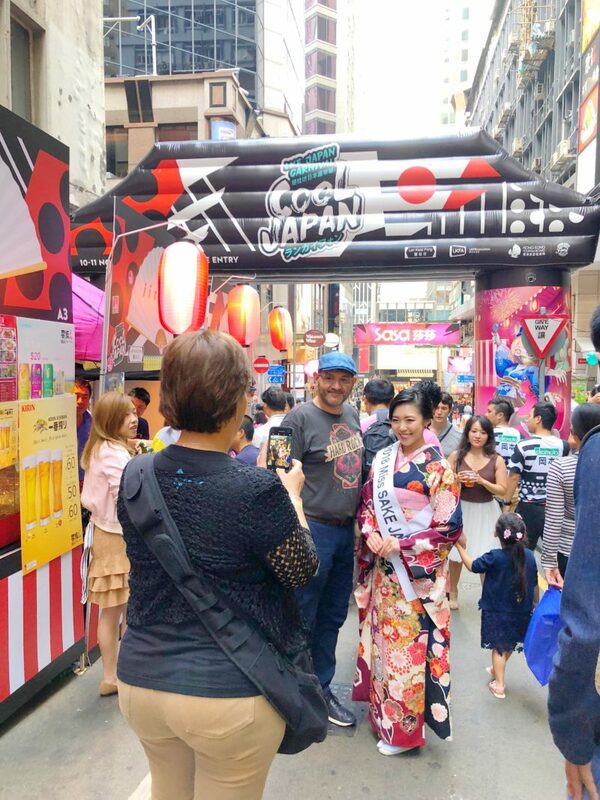 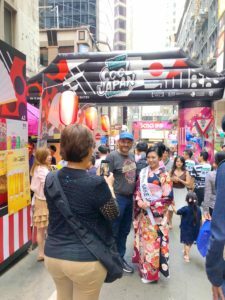 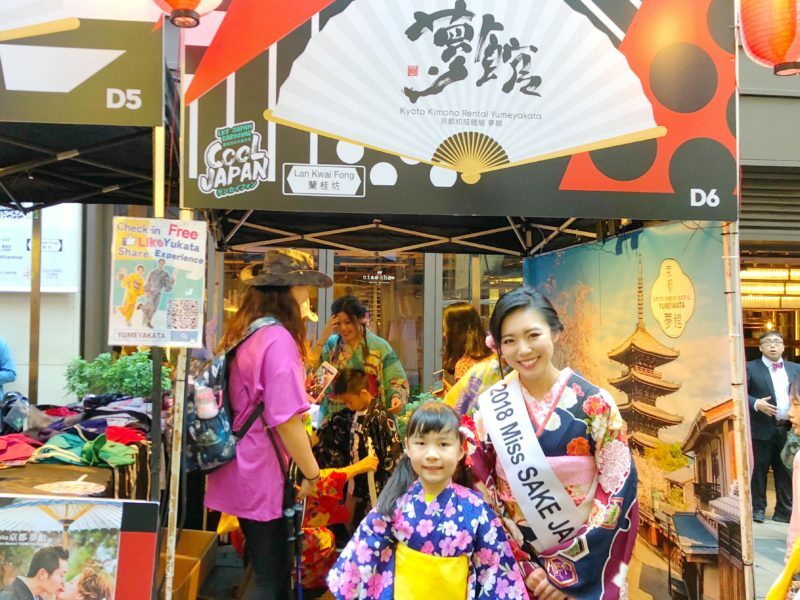 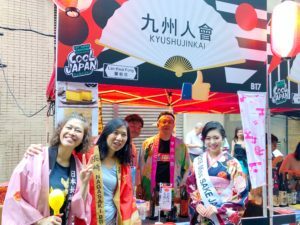 After coming back to Hong Kong Island, we visited “蘭桂坊 Cool Japan Carnival.” At the festival, they had a variety of booths of Japanese local food and drink as well as cultural experience booths such as Kimono-wearing one. 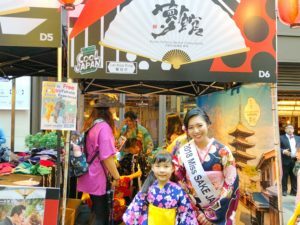 I was happy to see so many Hongkongese People enjoy the Japanese cultural festival. Next, we visited Restaurant “Tonkichi,” one of the most popular Tonkatsu Restaurants in Hong Kong. 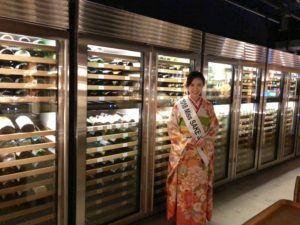 They offer various kinds of SAKE with very popular Tonkatsu dishes. At last, we visited the Lee Gardens, one of the most premium shopping malls in Hong Kong, and went to “Japanese Restaurant Ta-ke” and “Gonpachi Hong kong.” The atmosphere of the two restaurants were so elegant and they offer various kinds of premium sake. 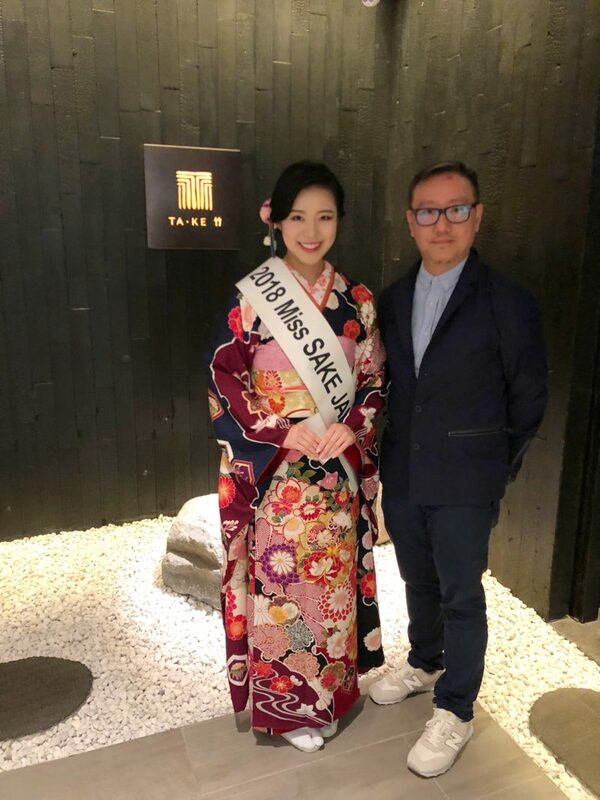 After visiting many restaurants in Hong Kong and hearing the recent situation of SAKE industry there, I could feel a strong possibility of development of SAKE in Hong Kong. 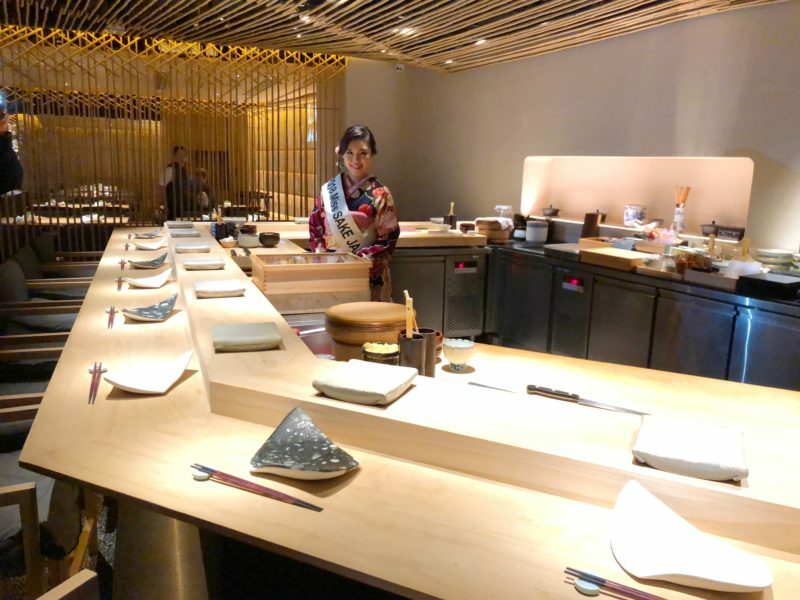 Many Hongkongese have strong interest in Japanese Cuisine. 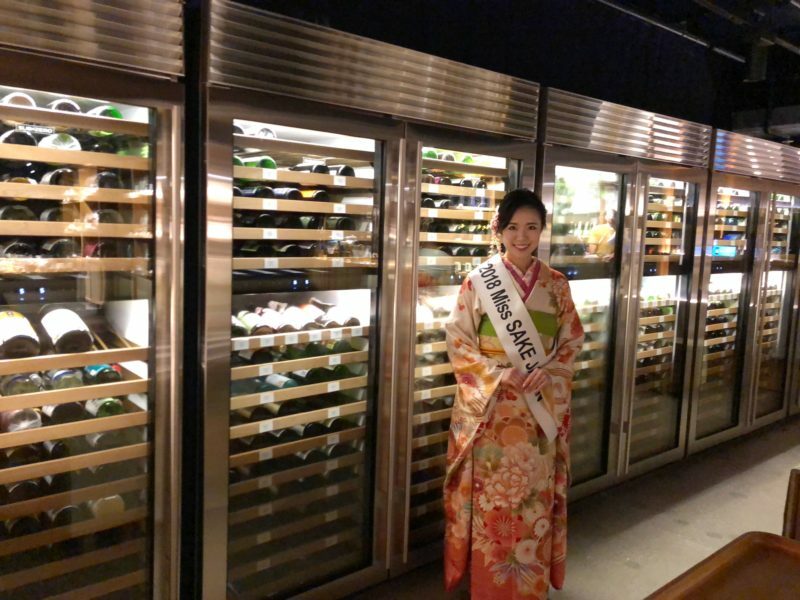 And what’s more, import duties and liquor tax are basically free. 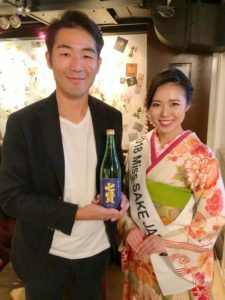 So, I could feel that SAKE would gain much more popularity in Hong Kong in the near future. In such a present situation, I hope and believe that Miss SAKE Hong Kong Project will contribute to the greater development of SAKE culture in Hong Kong. 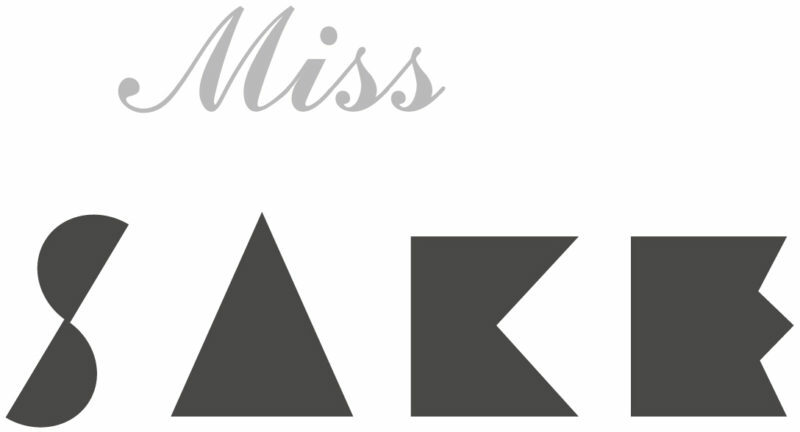 I extend my deep appreciation to Mr. Nicholas Siu, Cru Magazine Co-founder and Executive Director, and all the people involved in the Miss SAKE Hong Kong Project. Thank you very much for the precious time in Hong Kong.